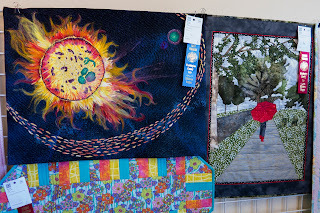 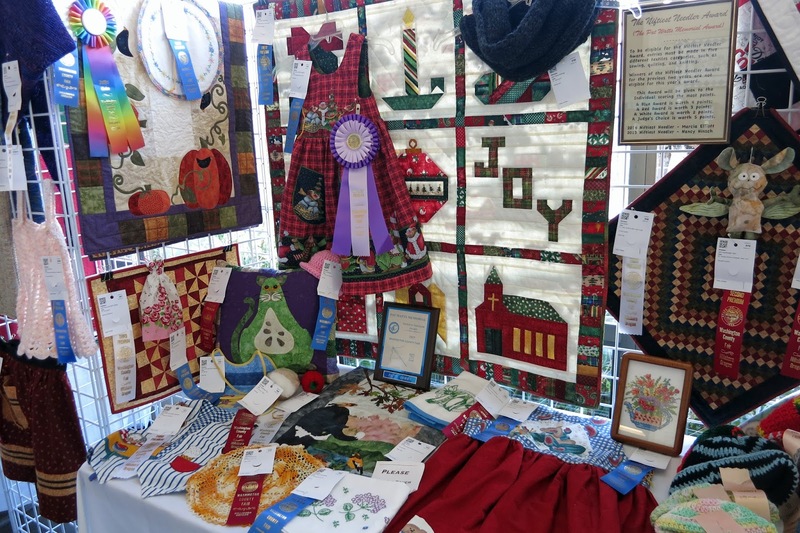 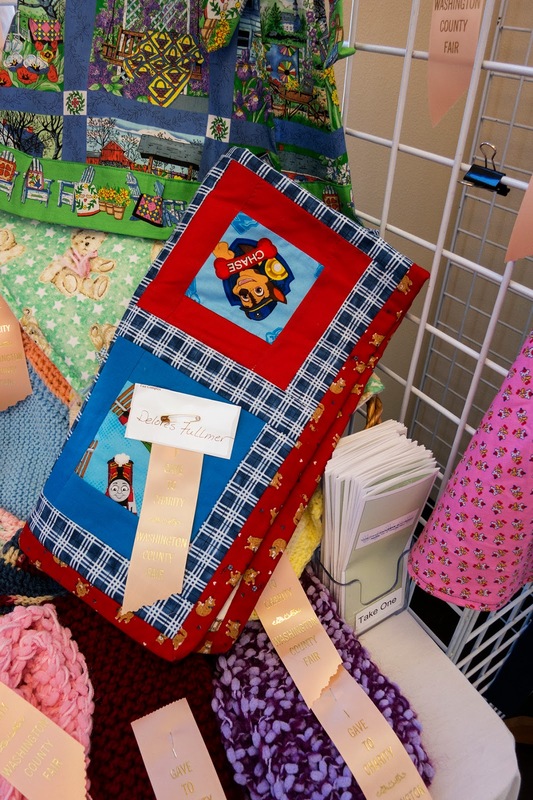 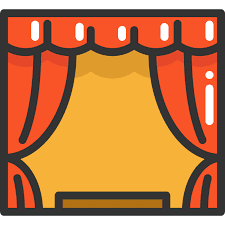 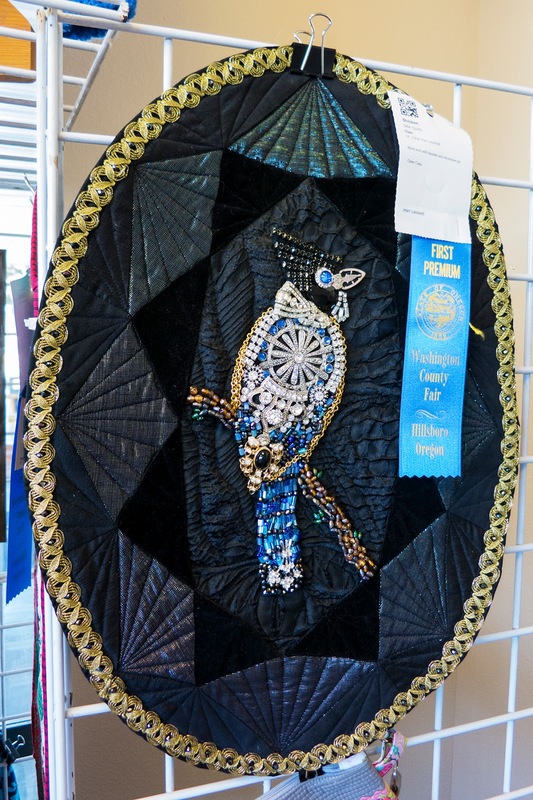 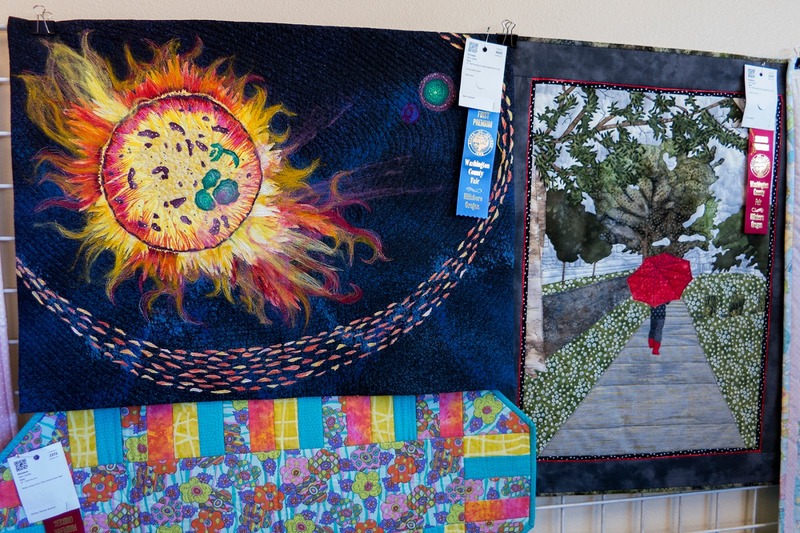 Several guild members entered the County Fair and most all took home ribbons! 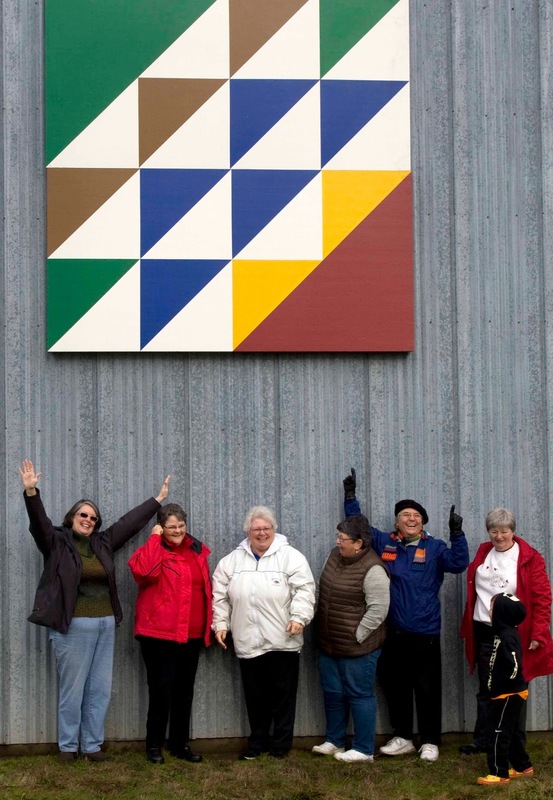 Many also volunteered to help the superintendent staff the room. 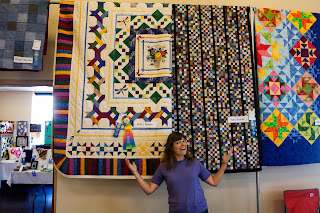 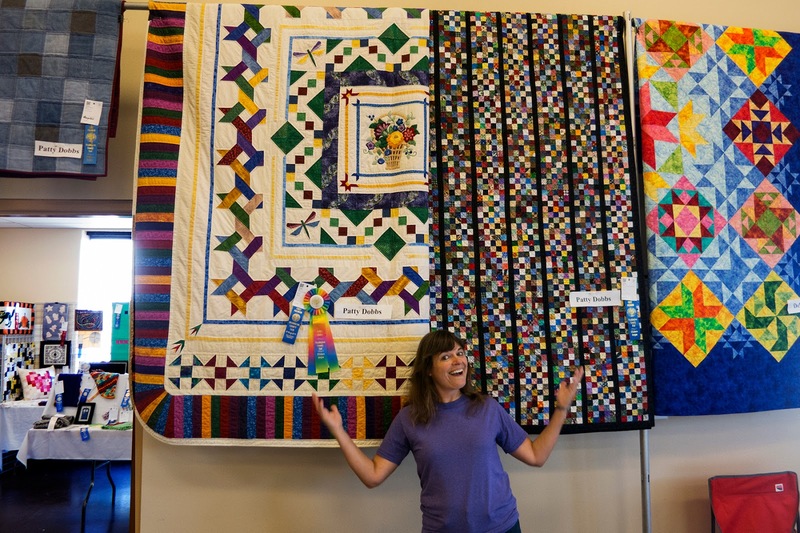 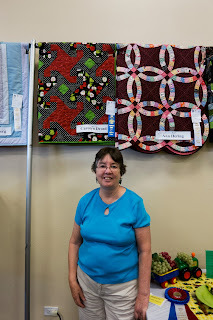 Patti in front of three quilts she entered. 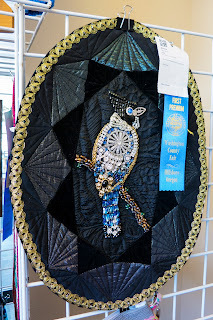 There are lots of blue ribbons behind her! 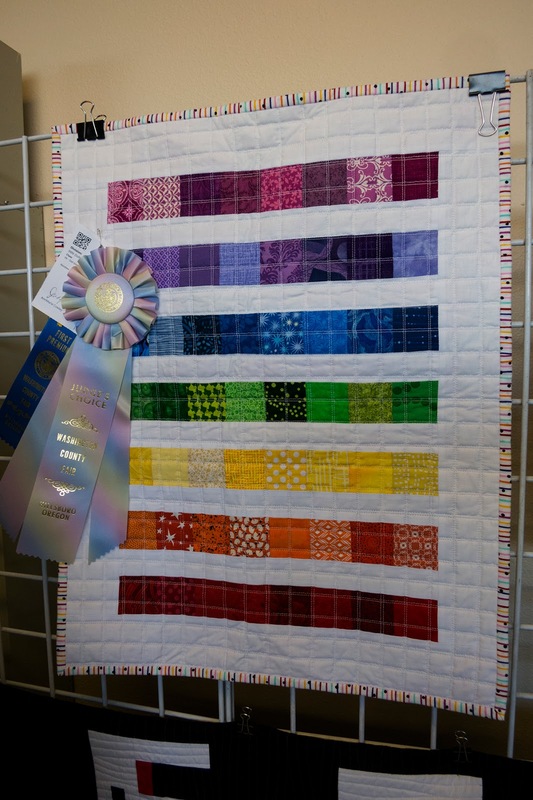 AnnMarie's "Rainbow Mini" took a Judge's Choice. 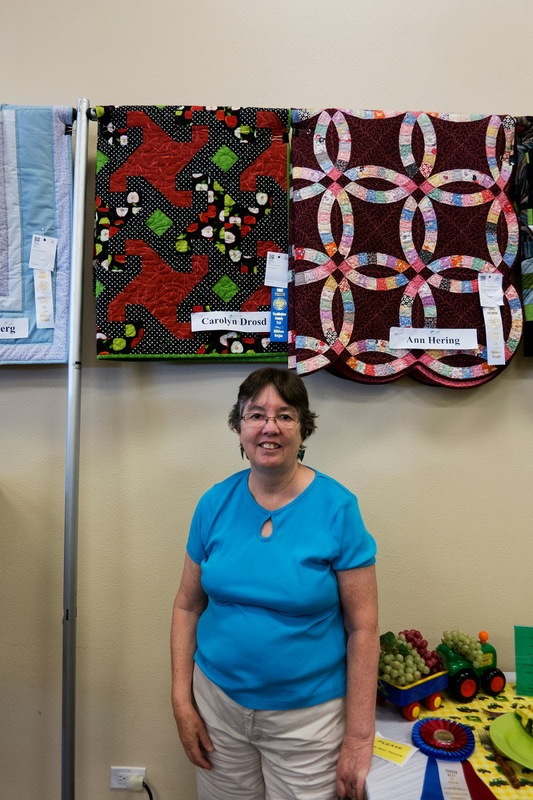 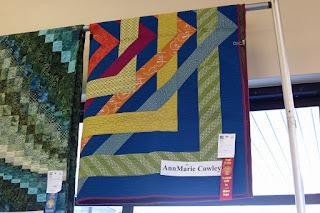 Carolyn in front of her blue ribbon winner designed by guild member, Joyce. Delores made this super cute quilt as a donation to a local charity. 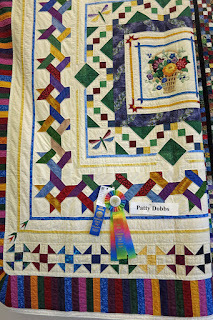 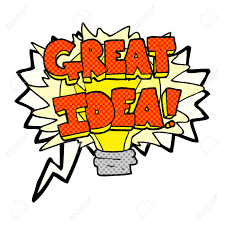 Jean and Ann have ribbons on their quilts. 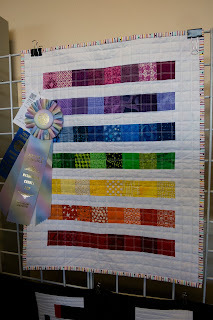 Jean's "Initially Yours" challenge took a blue! 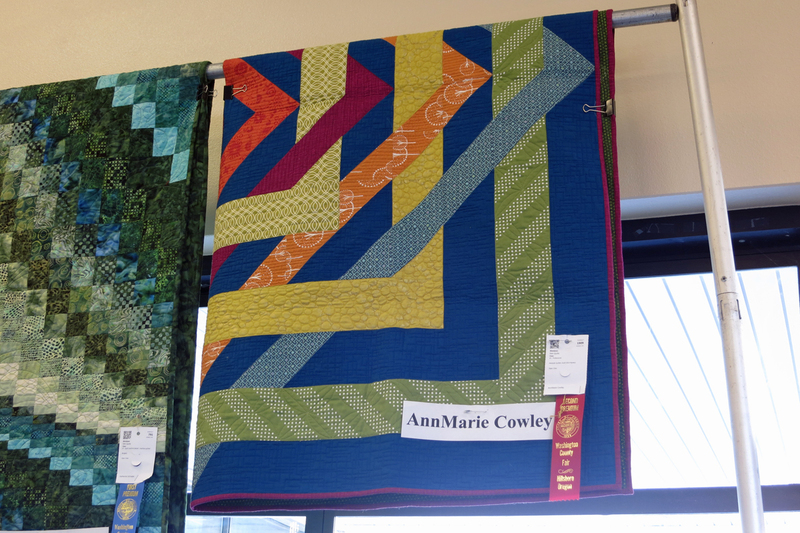 AnnMarie's quilt designed by guild member, Joyce. 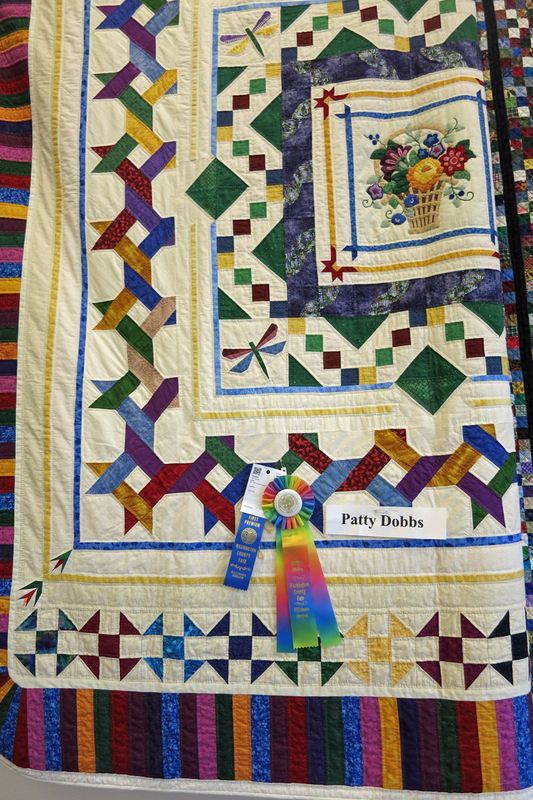 Patti won the prestigious "Niftiest Needler" award. 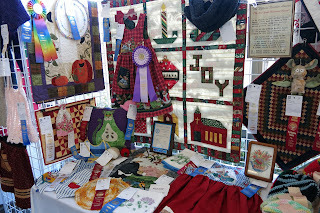 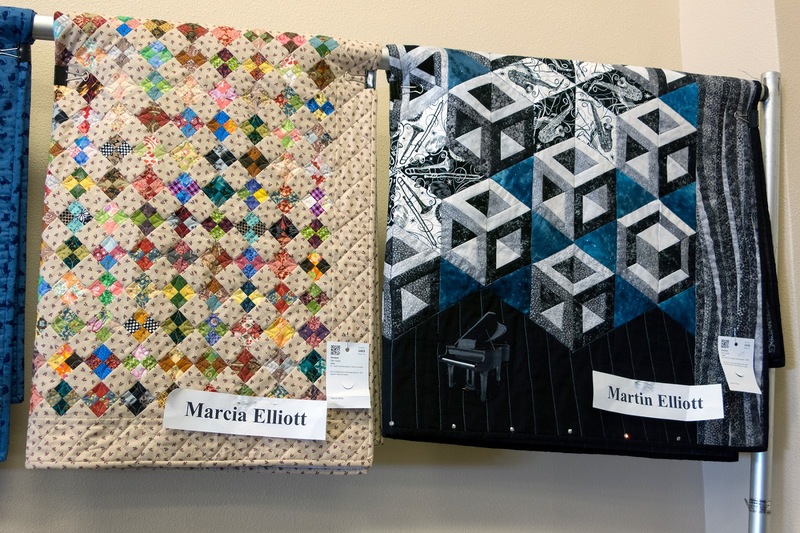 Last year guild member, Marcia Elliott, won. 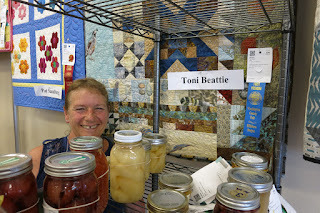 Toni hiding behind preserves, but in front of her winner!